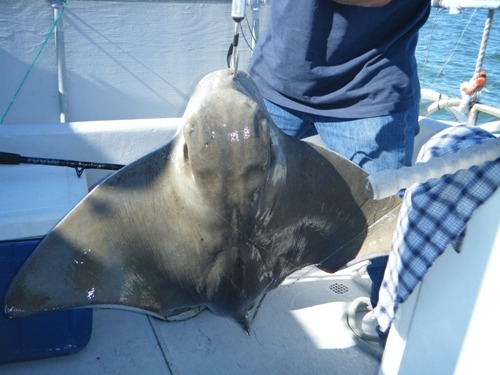 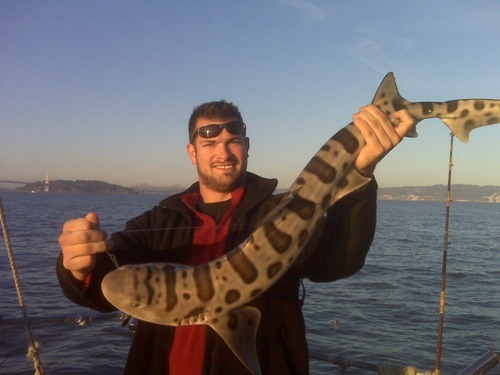 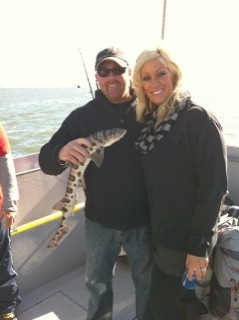 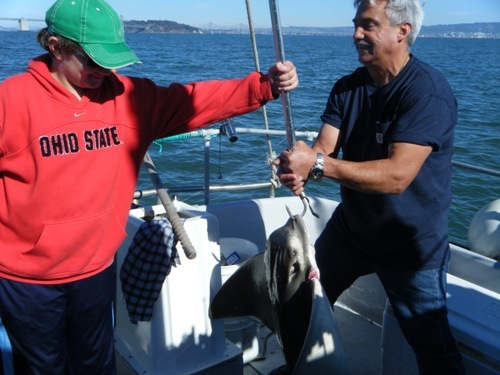 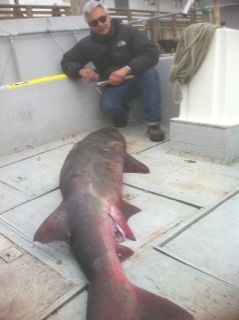 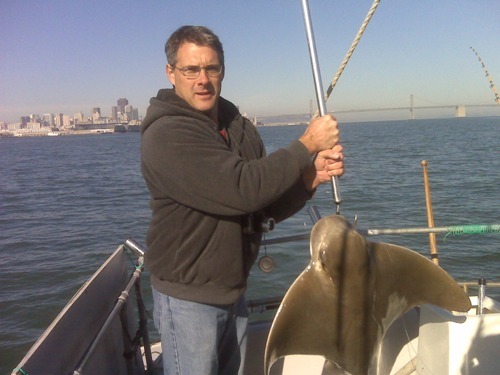 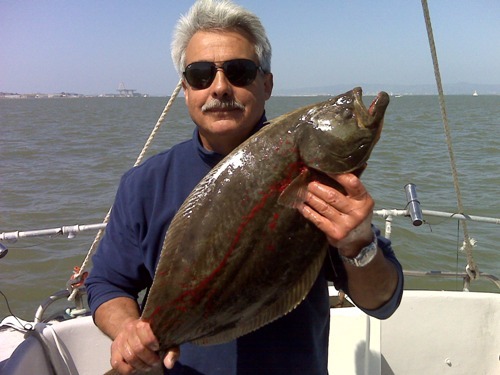 Anglers of all ages enjoy catching and releasing leopard sharks and other types of sharks with Captain Tony in the San Francisco Bay in the shadow of the SF skyline! 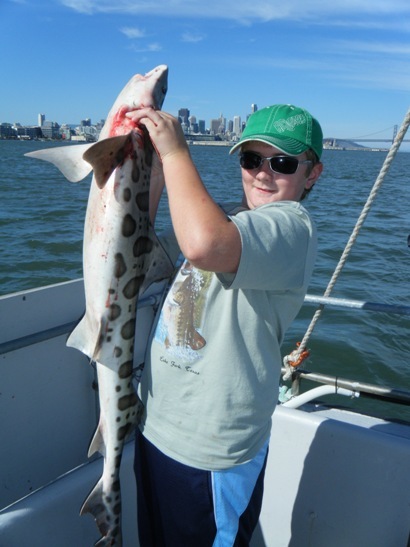 This 9 year old angler caught his first Shark aboard the Kansas City in Captain Tony's secret Shark hole! 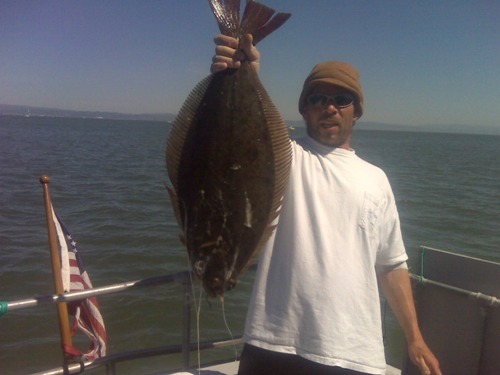 The 21 foot Whaler has GPS navigation, a fishfinder, radar, live bait tank, and rocket launchers. 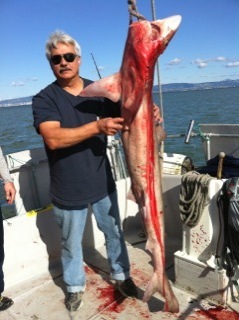 When available in season, Captain Tony provides shiners to his clients free of charge. 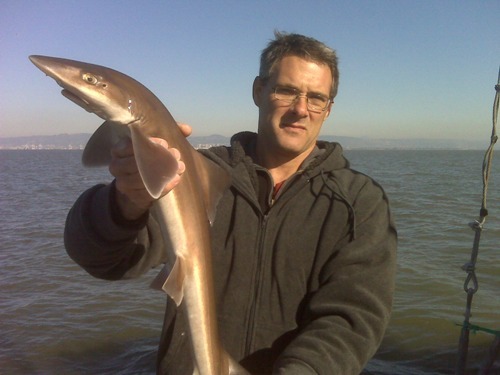 Tony believes, as most do, that Shiner Perches are a far superior bait than anchovies. 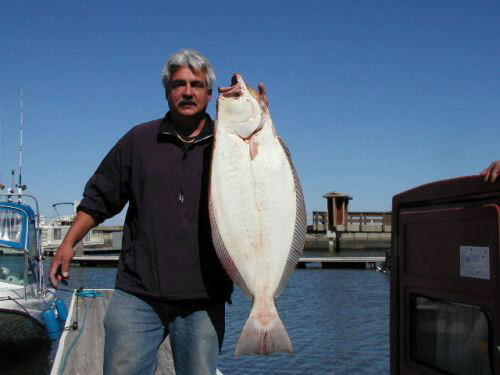 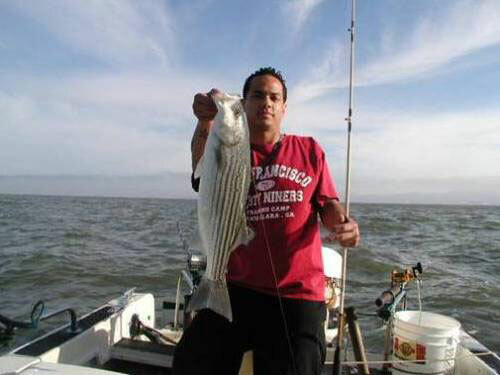 Shiners are especially good bait for Striped Bass and Halibut. 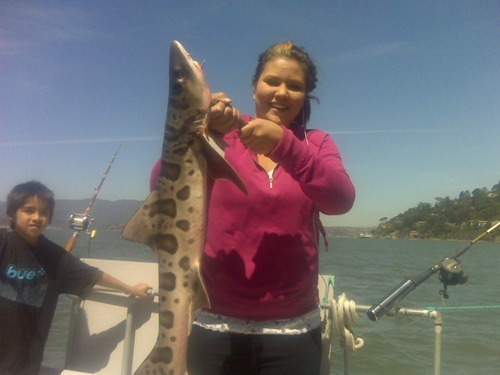 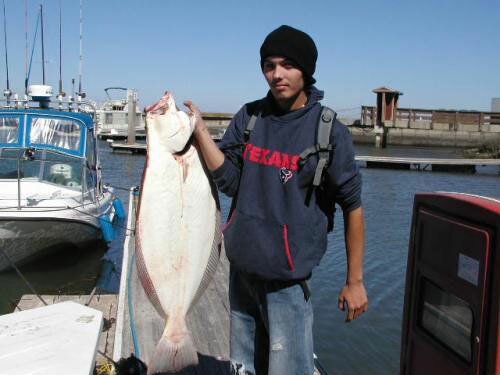 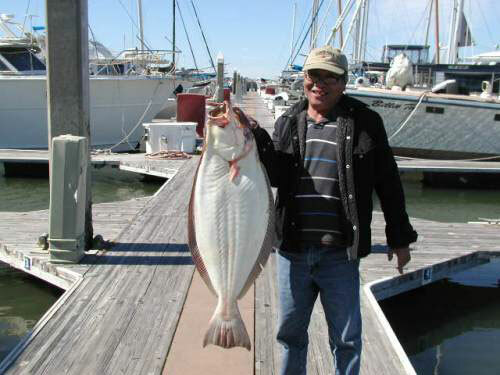 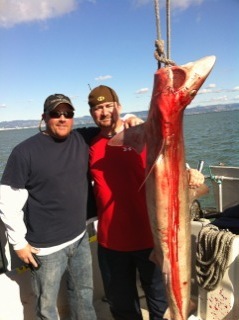 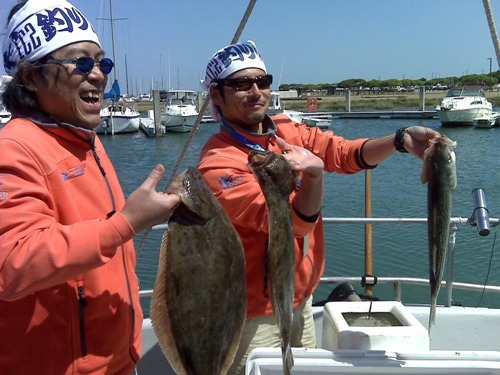 Shiner bait will improve your chances and is the famous bait of choice of Oyster Point and the South San Francisco Bay!